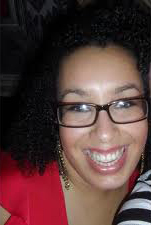 Ella McIntosh is as bubbly and chirpy as her photograph suggests. She graduated in 2007 with a first grade honours degree in Designed Metalwork and Jewellery from Buckinghamshire Chilterns University. She then moved to Manchester and last year opened her own studio shop in the Manchester Craft and Design Centre (MCDC) called ‘ This Is Pewter ‘. I discovered today that on saturday Ella will be celebrating one year of working from her shop so thought I’d bring some of her delightful work to your ‘virtual’ door. 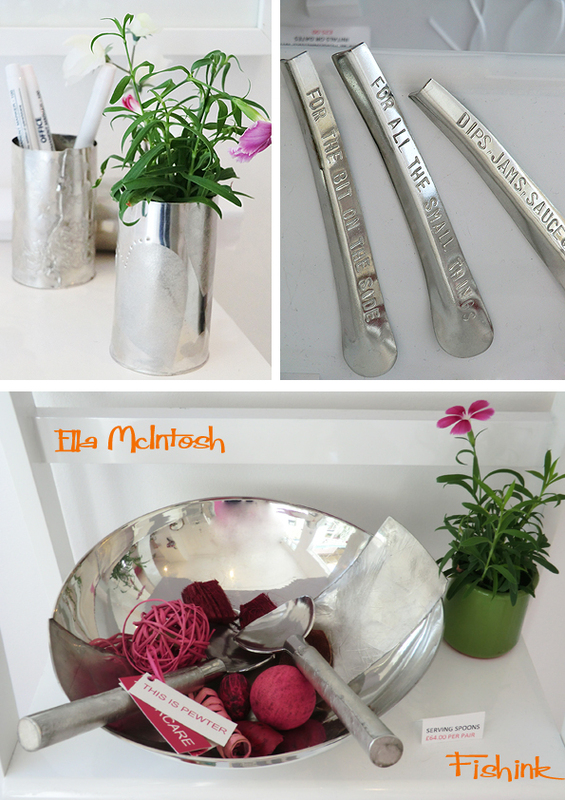 Pewter is a metal which is steeped in British history and tradition. It was used as everyday tableware before china ceramics came into our households and was a regular feature on our tables. Pewter was used by the lower classes to copy the silver designs they often envied but couldn’t afford. Pewter is a malleable metal alloy, traditionally 85–99% tin, with the remainder consisting of copper, antimony, bismuth and sometimes, less commonly today, lead. Silver is also sometimes used. Copper and antimony act as hardeners while lead is common in the lower grades of pewter, which have a bluish tint. It has a low melting point, around 170–230 °C (338–446 °F), depending on the exact mixture of metals. The word pewter is likely a variation of the word spelter, a term for zinc alloys (originally a colloquial name for zinc). Since the lead has been removed from Pewter it has undergone a soar in popularity and with more people looking for alternatives to precious metals such as Silver and Gold, Pewter has come into its own. Now there is a thriving, close-knit, British Pewter Industry which encompasses the Pewter factories as well as the independent handcraft makers. 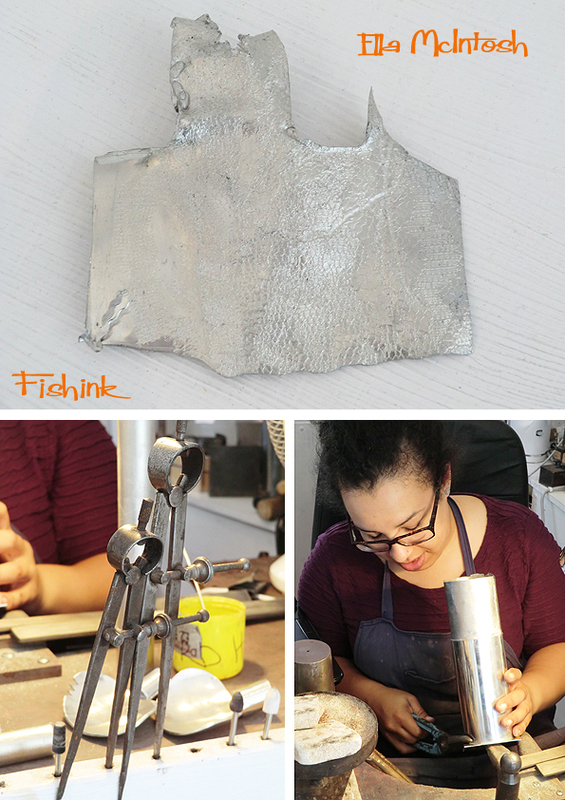 The British Pewter industry strives to keep the traditional metalworking skills alive whilst makers, such as Ella, try to push the metal to fresh boundaries by combining these age-old skills with modern, stylish design. Pewter is a low-maintenance metal which doesn’t tarnish like silver. This means its easy to look after and doesn’t require regular polishing. In comparison to other metals, Pewter has a low melting temperature, making it a very versatile metal. Its also claimed to be one of the most ‘eco-friendly’ metals due to the small resources needed to work it and any scrap can easily be melted down and re-used on site, reducing transportation and therefore carbon emissions. 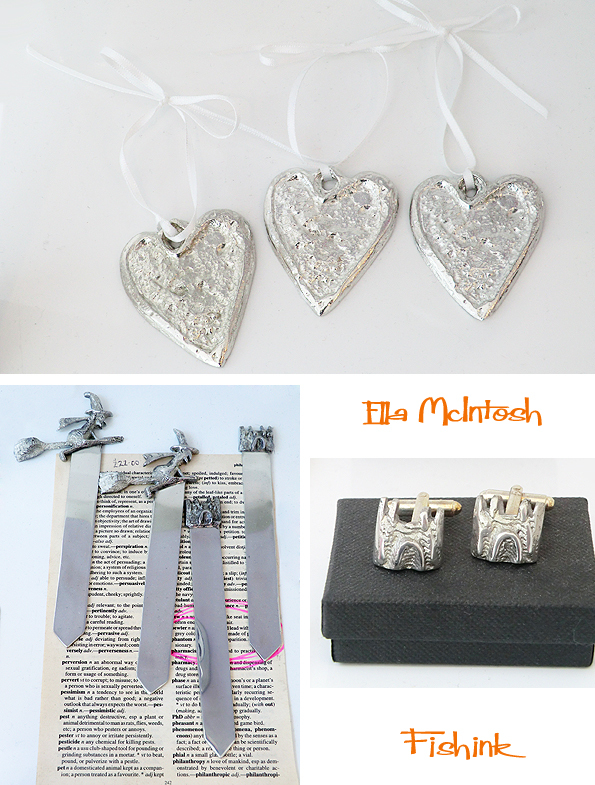 These lovely cufflinks and bookmarks were a commission from Clitheroe Castle, in the town where Ella grew up. She’s as passionate about Pewter as she is proud about her roots. Pewter is very malleable and easy to work with, below is a thin sheet of Pewter that has been through a press with a piece of lace and has taken on an impression of the structure of the fibres. Here Ella is forming the base of a tall vase, she uses her blow torch and various precision tools to measure, cut, hammer, pattern, and mould the pewter into practically any form that she chooses. What a beautiful artform. Why not commission her to make something personal for your home. Recently Ella had a sell out, one day workshop at the MCDC where Ella guided her pupils through designing and making their own Pewter mini planter. Allowing them the unique experience of learning a whole range of traditional metalwork skills and techniques first-hand from the designer herself. It was such a success that Ella plans to run more of these in the future. Contact her on the email below for more information on courses or commissions. 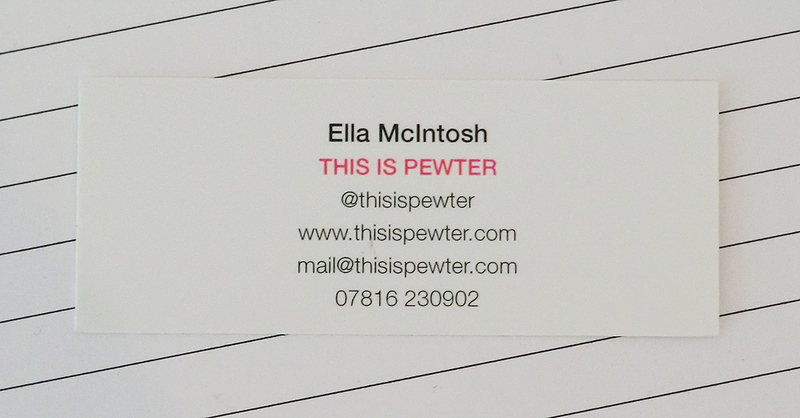 Happy Birthday to ‘ This is Pewter ‘ !! Don’t forget that you can find me in the shop next door at the Manchester Craft and Design Centre thursday til saturday for a week or two. 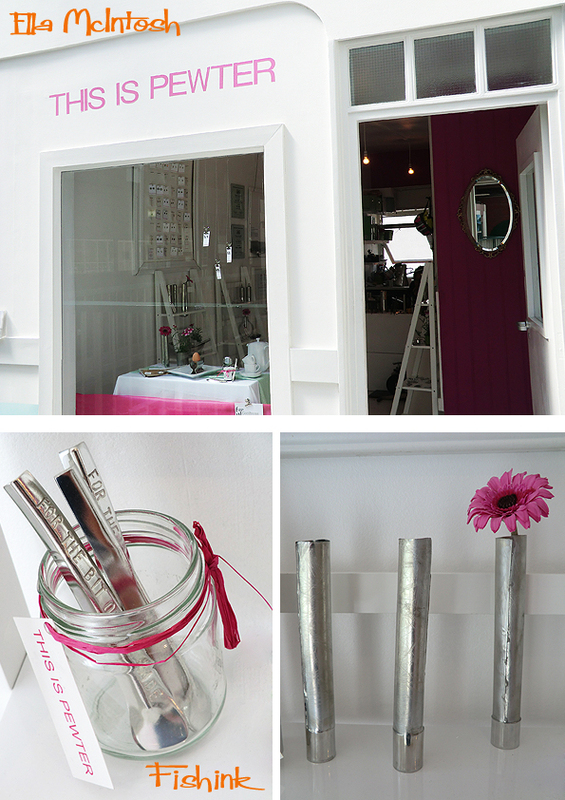 Here’s what the work looks like in the shop, hope to see you in there soon. 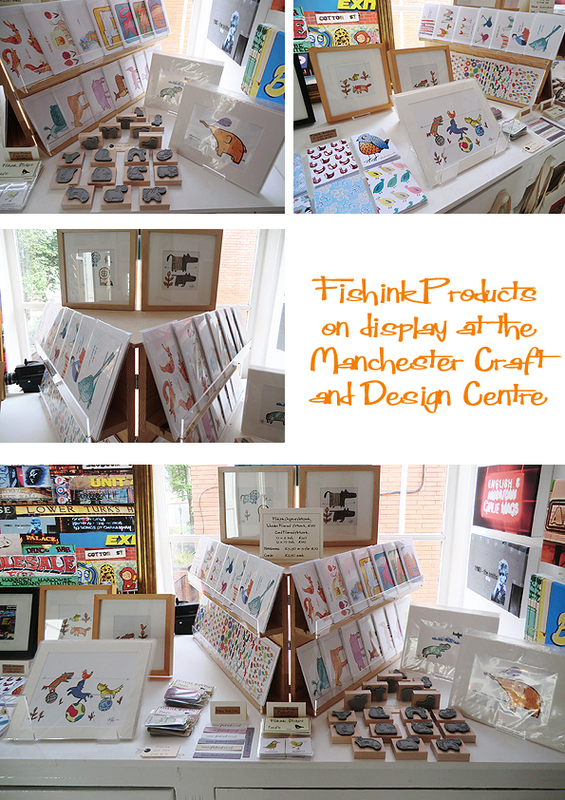 More about the talented folk in the Craft and Design centre here and here. Happy Reading ! ← Fishink in Pembrokeshire Part 1. Skomer Island and visiting the Puffins. Gosh Ellas work is lovely thank you for sharing it with us. No problem Mandy, I’ll tell her you think so.